Dessert dessert dessert.... how could I live without? I decided that we could dare to try the recipe of the cantuccini ... and of the chocolate and pears tart... everything was really nice!!! What a great flavour! 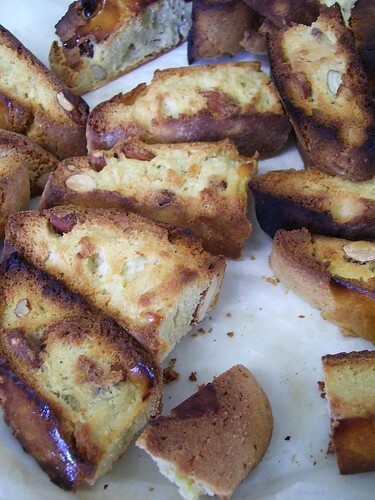 • Mix well, with a fork, all the ingredients beside the almonds in a large bowl. • When the ingredients are well blended add the crushed almonds. The dough should be like a ball. 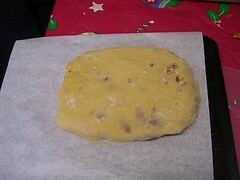 • Put the dough on a lightly buttered oven tray. Press down gently with the palm of your hand to flatten it. Using a brush spread some egg yolk on top of it. • Bake for 30 minutes at 180°. • Prepare the flour. 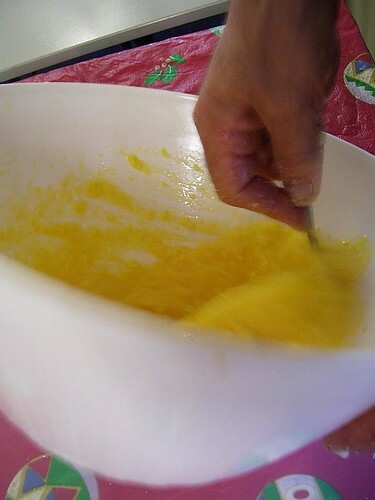 Mix the eggs and egg yolk together with the flour. Add the sugar, the butter and the salt. Knead them till you get a good homogenous dough. Wrap it in plastic paper and put it in the fridge for minimum 30 min. In the meanwhile you can prepare the pears. 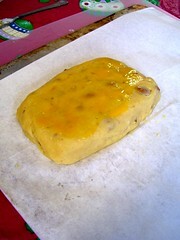 • At this stage take the pastry dough out of the fridge and roll it out on a buttered pan. The pastry can also become overheated or overworked at this stage, which means it will tend either to break up or to stick. If this happens, you can solve the problem by adding a few tablespoons of cold water or half an egg white to the dough. 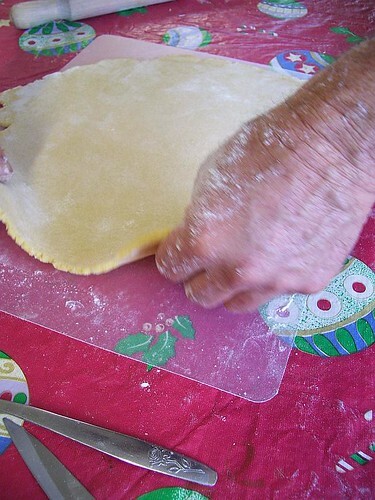 If the pastry tears while you’re rolling it out, you can easily patch up the tears once it is in the tart pan and they won't be noticeable when the tart has been filled and baked). 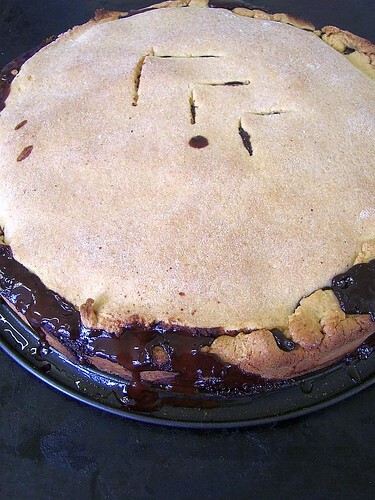 Make some holes with a fork before putting the tart in the oven. • Let it cook for about 30/40 min. at 180°.